Product Consists : Single Artificial Love Rose Stick with Twin Color Heart Shape Cushion (Approx Size : 8 Inch) and Love Greeting Card. 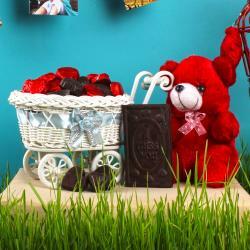 Love is best way expressed through a romantic gift. 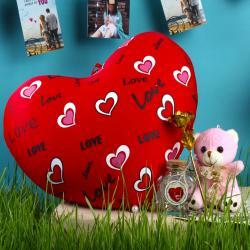 Send your Heart felt love with exclusive two tone Heart shape cushion have two tiny hearts, one heart Love tag and other You tag line on it. This heart is extremely soft and so cute and slightly flurry to touch and feels so special like feather touch. This heart is representing your love full heart. This heart is complementing with a greeting card with romantic message on it. Also, included one artificial red rose to express your deep everlasting love. This gift combo is best for giving on Valentines Day. 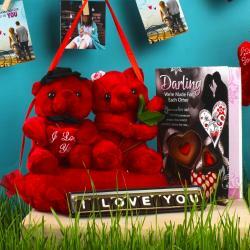 Buy this gift combo for your love partner in India and make them feel elated. 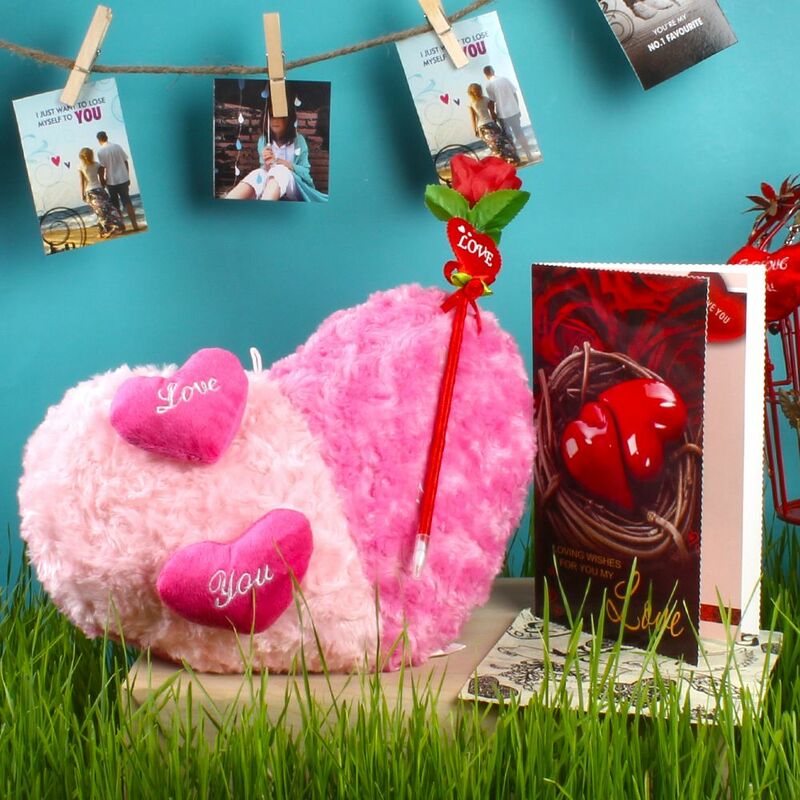 Product Includes: Single Artificial Love Rose Stick with Twin Color Heart Shape Cushion (Approx Size: 8 Inch) and Love Greeting Card.